Epic Games has just announced a new games store. The aptly named Epic Games Store will launch with a set of hand-curated PC titles, with a view to expanding onto other platforms. The store will also offer a revenue split that hands the vast majority of money earned back to developers. In a press release, Epic announced that the new store will be open to games developed on any engine, not just those developed on the company’s Unreal Engine. 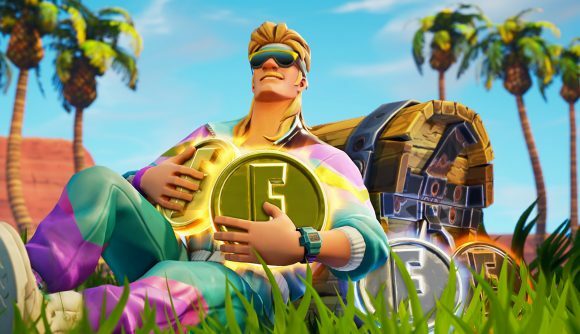 For games developed in Unreal, however, Epic has announced that it will be waiving all engine royalties on revenue generated through the store. All other royalties will be split 88% to 12%, meaning developers will be taking a far larger slice of their earnings than they might be doing elsewhere. The Epic Games Store will also allow Epic to maintain its Support-A-Creator program. That program offers a means for players to reward influencers across platforms like Twitch and YouTube for bringing exposure to game developers, and has previously been used within Fortnite Battle Royale. Epic’s 88/12 revenue share mirrors the changes issued to the Unreal Engine Marketplace earlier this year. The success of both Fortnite and the engine itself allowed the developer to adjust its previous 70/30 split. While Epic is yet to reveal much information about the store – we don’t yet have a launch date or know of any release titles – its presence announces yet another potential challenger for Valve’s throne. The Discord store launched earlier this year in an attempt to provide a more curated alternative to Steam, and Epic is clearly looking to gain support from developers by offering them a greater share of the revenue from their games. Valve recently announced changes to its revenue sharing system, but it’s earned a backlash from indie developers. The 70/30 split remains in place until a game makes $10 million, at which point developers are offered a 75/25 divide. From $50 million, the split changes again, up to an 80/20 share. It’s a step in the right direction, but it benefits triple-A devs over indies, and still won’t offer the same share.